I worked on my lap quilt for several hours today. I was super obsessive and actually re-squared all these blocks to make them 4.5 inches. I remembered why I don't normally bother because it seemed like it took forever, but then when I sewed the pieces together, everything fit together so well. I finished building all ten center blocks and then assembled one of those into the big block; they are huge! 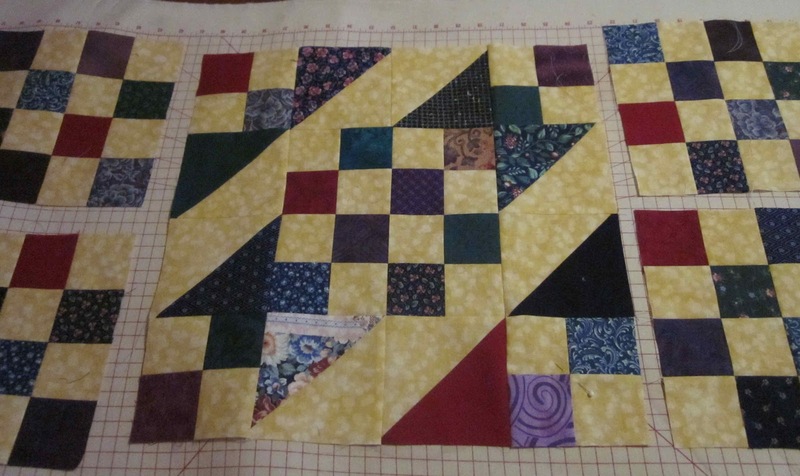 I don't think I've ever made a quilt with 16-inch blocks before. 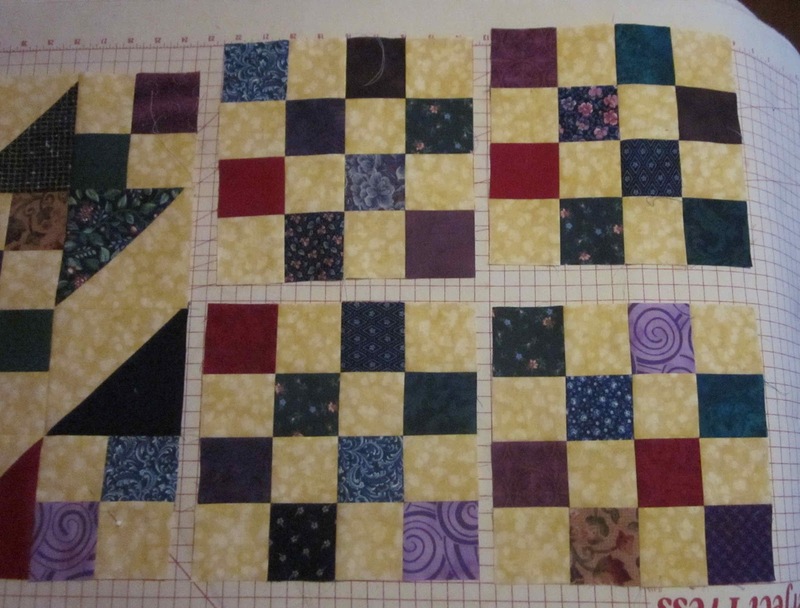 Right after I finished the big block and laid it out for a look, I noticed the four-block square on the lower right sewn in 90-degrees off. Ugh, so I decided I would quit for the day. I'll fix it tomorrow and build the other nine big blocks. The assembly isn't going as quickly as I was hoping because I didn't use enough fabrics. When my first batch of squares failed, I should have gone digging in the scrap bin for more print fabrics. Instead, I just used the big chunks I had laying around. I'm spending too much time shifting pieces around trying to build blocks without repeats of the same fabric. We call that "controlled randomness". :) Looks gorgeous!